Blank vector stickers to create business, promotion and advertising graphics. Freebies Illustrator set of four vector peeling sticker graphics set on a gray and white gradient grid background image. Color blends and drop shadows give the free stock footage an element of realism. 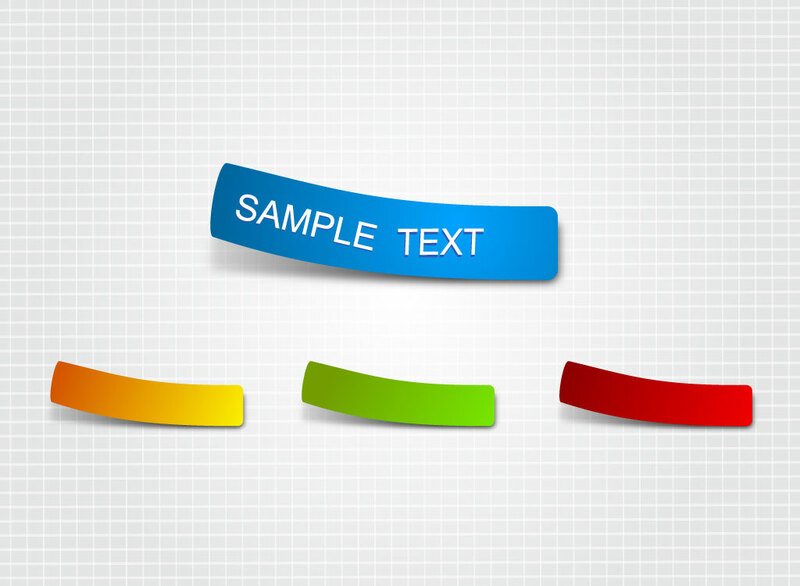 Download these great elements for labels, website icons, logo emblems and ads. Tags: Announcement, Apps, Badge, Banners, Frame, Labels, Note, Rectangle.